The holiday season is upon us, and you know what that means–getting stuffed on turkey and, for some, spending the entire next day taking advantage of incredible deals. Black Friday is like the Super Bowl for bargain hunters. 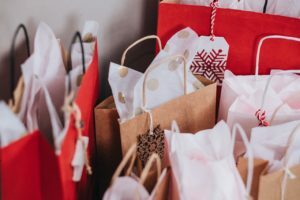 It’s also the perfect time to buy gifts that focus on keeping family safe as well as preparing for disaster to reduce the risk of unexpected events such as fire or flooded basement that would result in the need for a disaster restoration service. This Black Friday, as you recover from your Thanksgiving feast, be sure to consider these four holiday purchases that will help prepare your family for unexpected events and increase family safety. 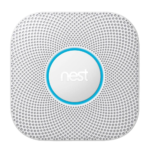 One: Nest Protect Smoke and Carbon Monoxide Detector. Nest Protect is a smoke and carbon monoxide detector that claims to let you “know more and worry less” about family safety. What do you really know about your home’s current smoke detectors? You know that when you burn popcorn in the microwave, you get a loud beep. That is about it, right? Most people don’t really know what the battery life is on smoke detectors let alone when was the last time they changed the smoke detectors’ batteries. Many don’t know what the blinking light means or ultimately whether their smoke detectors really work. Nest Protect removes the guesswork from your home’s family safety. With updates and alerts sent to your phone, Nest Protect has established itself as a great tool you and your family can use to avoid fire dangers. 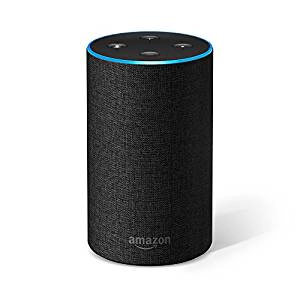 “Alexa, how do I prevent frozen pipes? The Amazon Echo is excellent at answering disaster preparedness questions and making emergency calls in times of need. It also has other functions that help bolster family safety. The Amazon Echo is a great alternative to a traditional home security system. Increase the convenience and security of your home with Amazon Echo and let Alexa be the brain at the center of your personalized home security system. August Smart Locks transforms the standard deadbolts on your doors into electronic locks that use timelocked digital keys instead of physical ones. Say you’re headed to the stadium for some tailgating, and you’re having friends house sit while you’re at the game. Instead of giving them a physical key, you can send them a digital key. 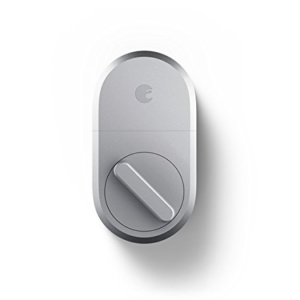 With August Smart Lock, you won’t have to hide a key under a doormat, resulting in better security and an easy way to grant access to your home should an emergency arise. Are visions of sump pumps dancing in your head this holiday season? No? It’s fair to assume that you aren’t spending the holidays thinking about the sump pump in your basement, but if you’re thinking about keeping your home safe and dry this year, your sump pump is a great place to start. A flooded basement can result in mold, along with damage to personal property, but you can greatly reduce the risk of a flooded basement with a properly working sump pump. Unfortunately, most families don’t know if their sump pump has problems until after their basement has already flooded. Enter PumpSpy. PumpSpy is a system that lets you know if your sump pump isn’t working correctly. 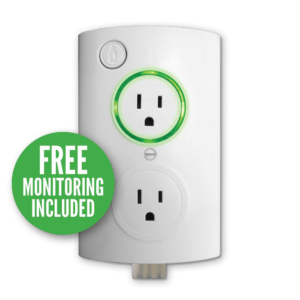 By connecting to your computer, PumpSpy automatically watches over your sump pump. Look for deals on the PumpSpy Smart Outlet this Black Friday so you can have sump pump dreams instead of flooded basement nightmares. Your family may have great memories of spending the day after the biggest meal of the year vying for huge savings. Or, your family may have their own unique traditions (like not moving from the couch for the entire day.) No matter what your traditions are, family safety should always be a big concern throughout the holiday season. So, If you find yourself participating in the tradition of Black Friday, consider these items and give the gift of safety. Let the Black Friday games begin, and may the odds be ever in your favor.